Good Shepherd has an upcoming Voters’ Meeting to be held on Sunday, November 18 following our 10:30 am worship. The purpose of this meeting will be to elect two members to our Admin Board for a three-year term. The second item on the agenda is to consider an offer we have received for the sale of our church property. In preparation for this meeting, we are hosting two Town Hall Meetings to share more details on this offer. 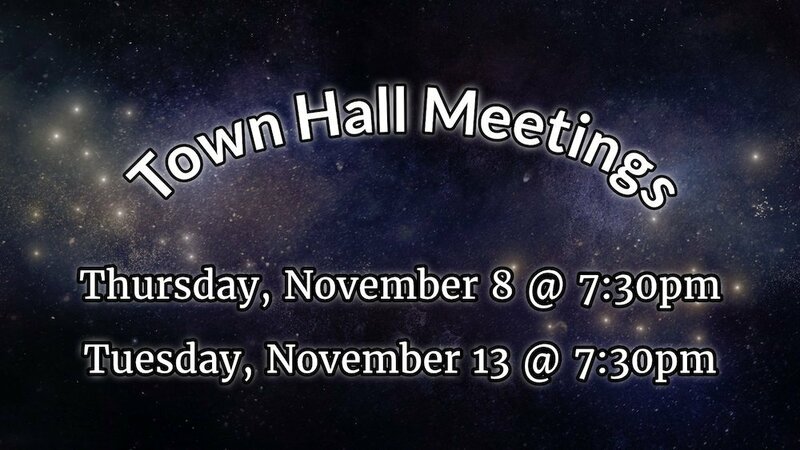 These meetings are scheduled for Thursday, November 8 and Tuesday, November 13. They will be held in the Good Shepherd Sanctuary and will begin at 7:30pm. These meetings will be a time for us to listen, to ask questions, to share our feedback, and to pray together as we seek God’s will. If you have not yet heard Pastor Phil’s sermon on this topic, we encourage you to check it out in our weekly podcast.